When most non-Africans think of Africa, they think of either jungles or tropical deserts. When it comes to the people of Africa, they think of someone with black skin. Bertolucci’s “The Sheltering Sky” is very powerful film about Africa, except it fulfills neither of the stereotypes listed above. It takes place in the arid deserts of Northern Africa where most people are of Arabic origins. There is no better English-language film, which explores Northern Africa, than this one. 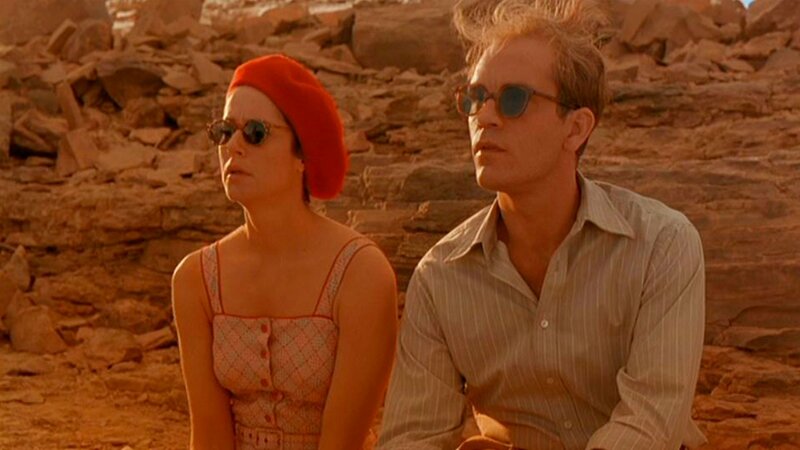 Adapted from Paul Bowles’s novel of the same name the film – narrated by the novelist – tells the story of an American couple (both artists) who come to Northern Africa for inspiration and in hopes of rekindling their marriage. At first, they are fascinated by the vast and empty scenery of the neighboring Sahara area but soon they find little satisfaction in it and desire to move forward into the heart of the desert. This is the moment they fall prey to the dangers that surround them in this unknown and uncharted territory. Port (John Malkovich) – who was always the adventurous one – contracts typhoid and dies, after which his wife Kit (Debra Winger) wanders aimlessly into the desert eventually getting involved in a Berber tribe. The film is slow-paced and required a certain mood. “The Sheltering Sky” is a brilliant, but unconventional, travel movie that raises awareness on the dangers of venturing into the unknown. The images captured by Bertloucci for this film are breathtaking. From the Atlas Mountains to the Sahara Desert, everything is bigger and brighter in this film being both beautiful and dangerous. The first scene in Robert Altman’s “The Player” is a long continuous shot in which the technicality aspects of movies are discussed. At one point, someone mentions the beautiful tracking shot of Debra Winger in “The Sheltering Sky”. The example is dismissed as it is not a Hollywood movie but the reference will always remind the cinephile of what an impressive visual movie “The Sheltering Sky” really is. 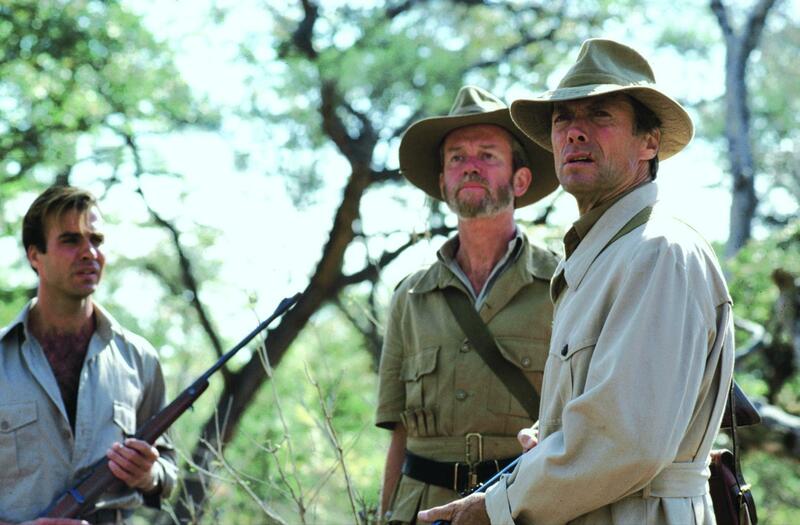 In the early 1950s, famous director John Wilson (Clint Eastwood), travels to Africa to shot his next film. While there, he becomes obsessed with hunting elephants while neglecting the preparations for the film. This leads to a conflict on several levels, most notably over the idea of killing for sport such a grand animal. Even Wilson concedes that it is so wrong that it is not just a crime against nature, but a “sin.” Yet he cannot overcome his desire to bring down a giant bull with massive ivory tusks. 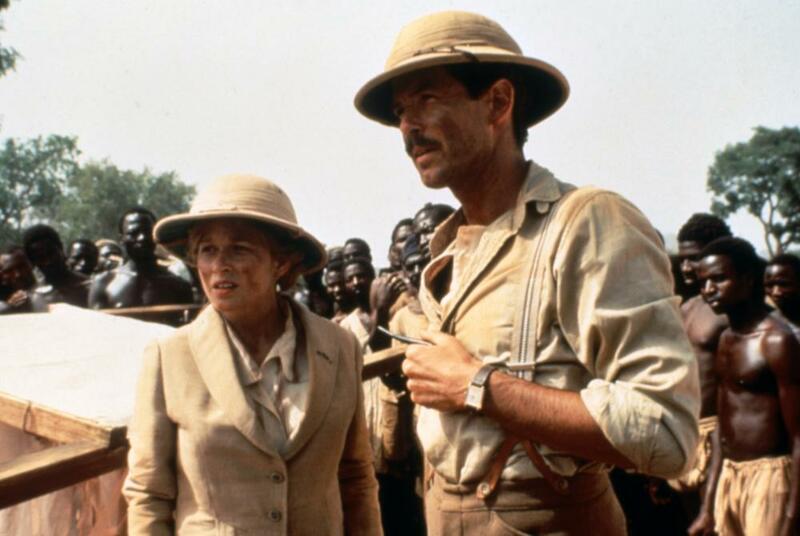 The film is a cleverly disguised account of screenwriter’s Peter Viertel experiences of working with John Huston on the classic “The African Queen”. In was very rare, back then, for American movies to be shot outside the United States. For anyone interested in the movie world the references are obvious; John Wilson is based on John Huston while Kay Gibson and Phil Duncan are based on Katherine Hepburn and Humphrey Bogart. The film offers valuable insight on the making of classic, while skillfully developing man’s obsession for hunting big-game; a beautiful homage to “The African Queen”, to John Huston and to Africa. Mister Johnson (Maynard Eziashi) is one strange fruit. He is that kind of man that can never find his place; the man who is never at home anywhere. The setting of the film – colonialist Nigeria of 9123 – clearly divides people into two parties, the natives and the British. Mister Johnson is neither. He was born and raised in Nigeria and has never traveled outside his country but he works for the local magistrate and can speak with a perfect British accent. This paradox plus his difficult personality and bizarre behavior often gets Mister Johnson into a lot of trouble with both parties. Throughout the entire movie, Mister Johnson struggles to get ahead, to find a place for himself in this world, but his schemes and petty deals seem to backfire almost always. This is a wonderful film that captures the flavor of working in the African bush more accurately than any other. It also looks very real and the characters are so vivid and realistic, you sometimes have to close your eyes for a second or so to remember you’re not there with them. The Nigerian landscape is another plus of the film that makes it look real and believable. Unfortunately, not many people know about “Mister Johnson” but if you want a good film about Africa than this hidden gem is definitely for you. At the end of World War II, Count Laszlo Almasy (Ralph Fiennes) is sent by the British Royal Geographical Society to chart the Sahara Desert. A plane crash leaves him with severe burns all over his body. He is hospitalized in a monastery where devoted nurse Hana (Juliette Binoche) sits continuously by his side. Confined to his bed Count Almasy recounts his life to Hana. Through a long flashback, where taken back to the Sahara Desert where the count had an intense, but forbidden, love affair with Katherine Clifton (Kristin Scott Thomas), a married woman whose stoic countenance masks the emotional conflict raging within her. The movie jumps back and forth, from the Sahara Desert to the hospital bed, as it unfolds a passionate love story and an adventure of epic proportions. The grandiose shots of the desert rival the ones in “Lawrence of Arabia” and the passion with which the love story is told can easily be compared with the classic Hollywood love stories. The film has even become a cultural reference, as referenced in the famous “Seinfeld” episode where Elaine seems to be the only one that didn’t like the movie. “The English Patient” has everything a film, of this proportions, needs to make an impact: adventure, love, betrayal, beautiful women, sandstorms and Africa. If you like adventure films than this one is for you. If you like films set in the African wilderness than this one is definitely for you. “The Ghost and the Darkness” was not so well received – although it was number one at the American box office for one week – and is was accused of ripping off “Jaws”, but it tells a fascinating story and it features some spectacular shots of the Kenyan Serengeti. In 1898, Sir Robert Beaumont (Tom Wilkinson), the primary financier of a railroad project in Kenya, is furious because the project is running behind schedule. He seeks out the expertise of John Henry Patterson (Val Kilmer), a military engineer, to get the project back on track. Patterson travels from England to Kenya, telling his wife, Helena, he will complete the project and be back in London for the birth of their son. But things get out of hand when he learns the real reason for which the project is stagnating. The workers are terrified of the recent lion attacks that have been going on. 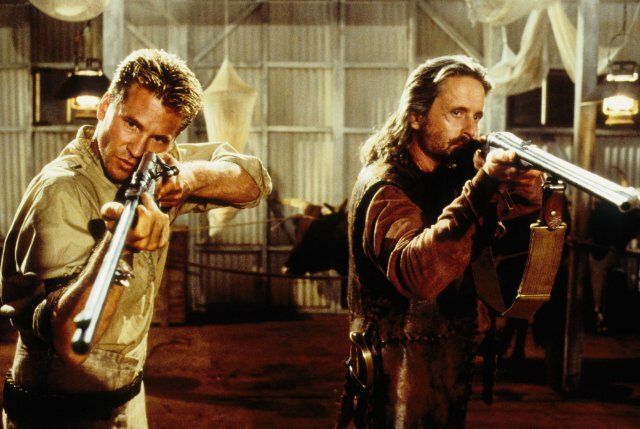 Although Patterson is not afraid – he himself kills a lion – both he and Beaumont realize that they will not be able to deal with this problem alone, so they call in experienced hunter Charles Remington (Michael Douglas) to help get rid of the lions once and for all. The film is based on true events. Although it is clear that man has invaded the lion’s territory, the film plays the sympathetic card luring the audience into rooting for the two hunters, as they get involved in the classic man vs. wild fight. 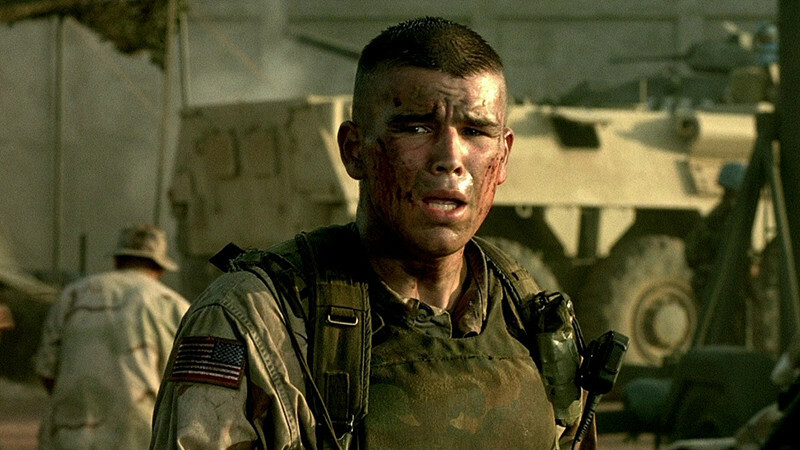 “Black Hawk Down” is an intense and long film that details a military operation gone wrong, in the Somalian capital of Mogadishu. It features a large ensemble cast including Josh Hartnett, Eric Bana, Ewan McGregor, Tom Sizemore, Jason Isaacs and Orlando Bloom. It is based on true events; events that were detailed by Mark Bowden in a non-fiction book about the incident that took place in 1993. The movie was received positively by many American film critics, but was strongly criticized by a number of foreign groups and military officials, because of its praise of the American troops and its content towards Somalia. It is definitely not the best war film ever made but its technical aspect is pretty high-class. Every detail of the operation is present in the film adding up to the numerous close-ups on the soldiers’ despair and fright. As far as images go, it is one of the few English-language films, set in Africa, which is mostly of urban nature. There are no jungles or deserts in this film… just the abandoned buildings in Mogadishu and the poverty that surrounds them. It is interesting that Thomas Jane intially turned down the lead role and now critics consider his work in “Stander” as the best of his career so far. “Stander” is best on true events and it takes place in the concrete jungle of South Africa. 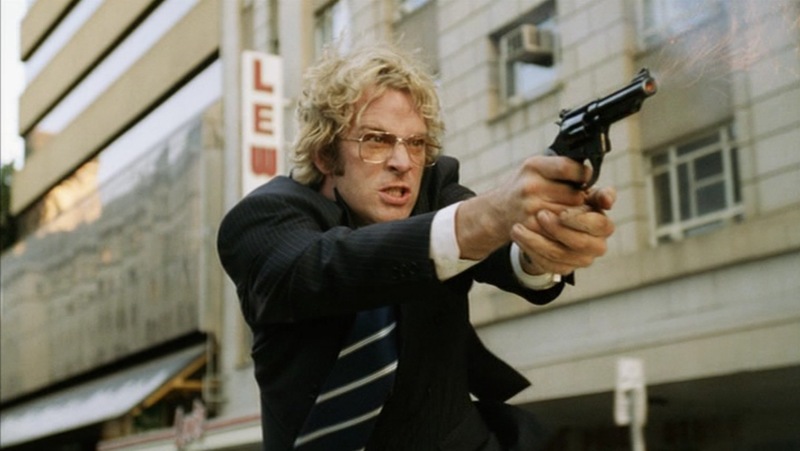 In the early 80’s, Johanesburg police office Andre Stander (Thomas Jane) has an epiphany the leads to dangerous consequences. After participating in the Soweto uprising, in 1976, he becomes disgusted with the torn apart society he lives in, but also realizes that while the police force is busy killing the black rebels, no one is guarding the banks in the city. So one day Stander decides to spontaneously walk in and rob a bank. He thoroughly enjoys the rush and decides to embark on a spree of robberies, even responding to one in official capacity as an officer. Eventually the police discover Stander’s new passion so he is stripped of his position and sentenced to 32 years in prison. After just one year served, Stander escapes from prison and continues his bank robbing activity until 1984 when he flees to the United States. It is here that Andre Stander meets his tragic fate paying the price for his unwillingness to remain inactive, settle down and lay low. With this film, the audience takes a ride along Andre Stander through Johannesburg, Durban, Tembisa and other South African historical and geographical landmarks.